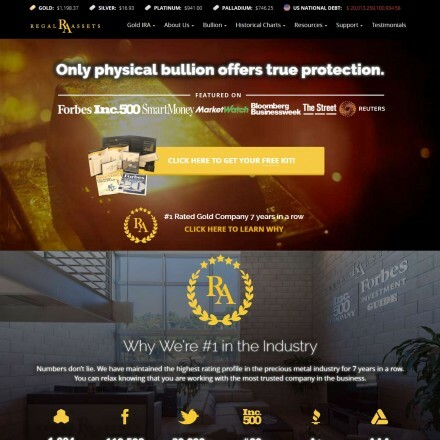 Gainesville Coins, Inc. is one of the largest precious metals dealers worldwide, selling a broad range of precious metals, bullion, and certified coins at great prices. 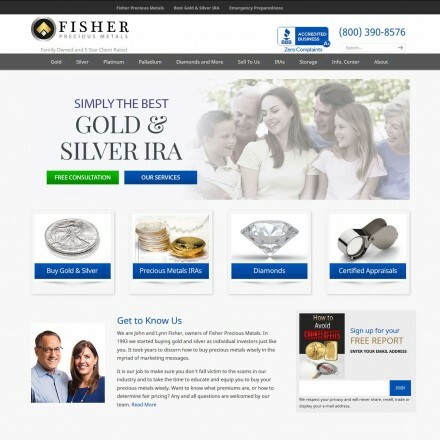 Our world class team of professional numismatists and outstanding support team of customer service representatives will provide you with a fast, courteous, and professional experience – we are 5-star rated by the National Inflation Association (NIA), the highest rated Gold and Silver Seller by the NIA. 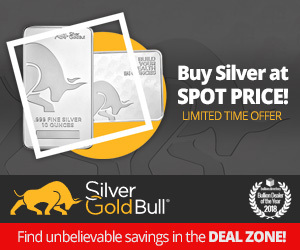 Gainsville Coins are long-established national precious metals dealers and carry one of the best, most varied collections of bullion bars and coins our office has seen. With customer care a priority and high-visibily presence in social media, a constant stream of quality video output and regular expert commentary, it’s not surprising Gainsville scooped a Consumer’s Choice medal in 2013. 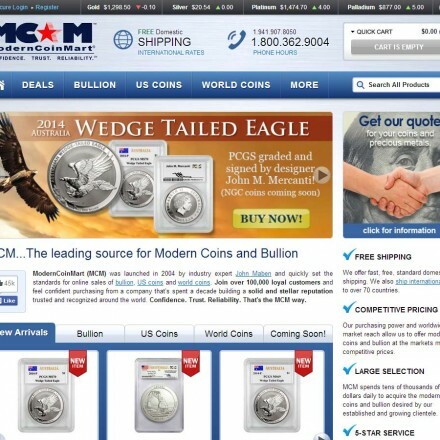 When doing business with Gainesville Coins - please say you saw them in Bullion.Directory. 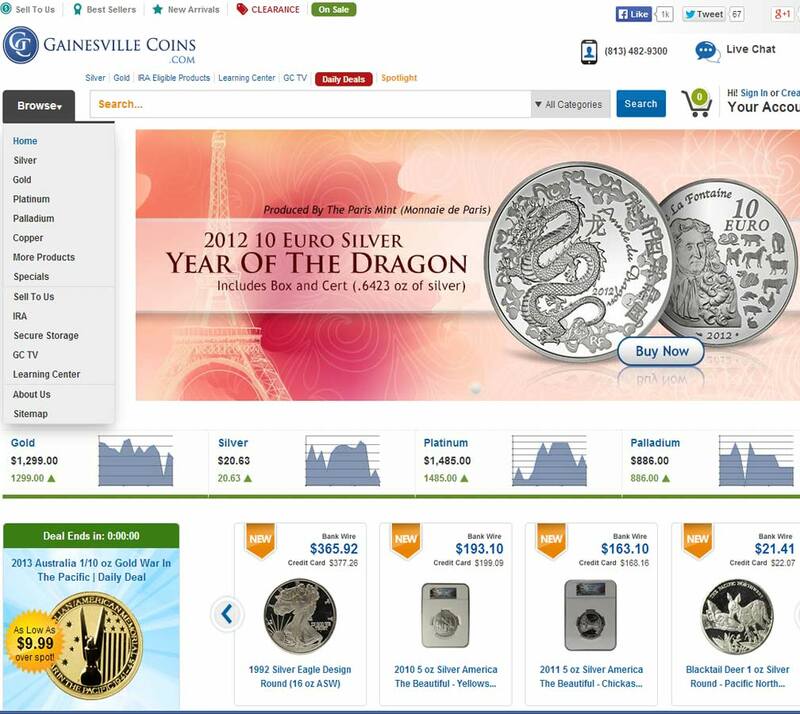 Read or add Gainesville Coins reviews and ratings using the "reviews" tab above. 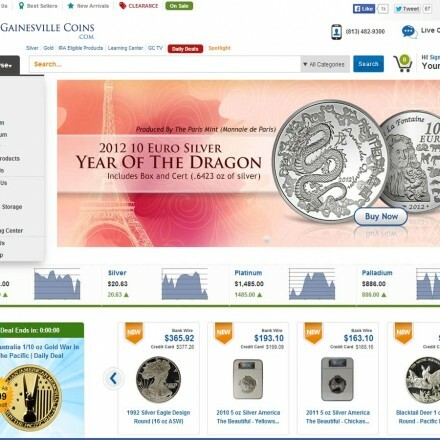 All Gainesville Coins details are believed to be correct at the time of listing. Please report errors here. 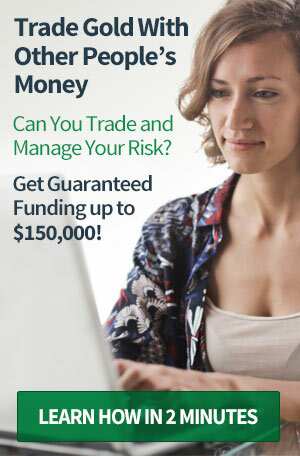 These guys are passionate about coins and it shows both in their depth of knowledge, helpfulness and care. They sell some awesome bullion coins, many of which they get exclusives on and similarly they carry some of the best numismatics I’ve seen. I’ve had a couple of issues with shipping delays but nothing you wont get anywhere else.